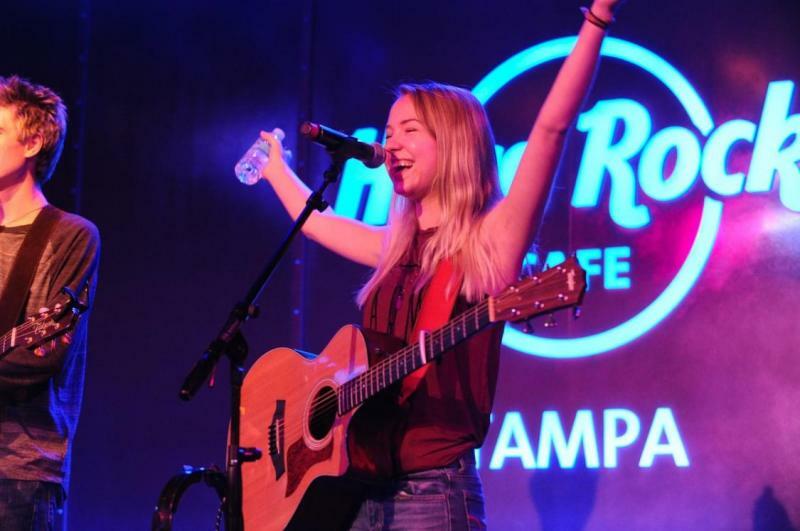 The Tampa Bay Acoustic Music Festival at the Hard Rock Cafe kicked off its’ final weekend with stellar performances by Margaret & Brittany, Barefoot Billy, Zack Biss & Rebekah Reid, NoNeed, and Seven Years Past. 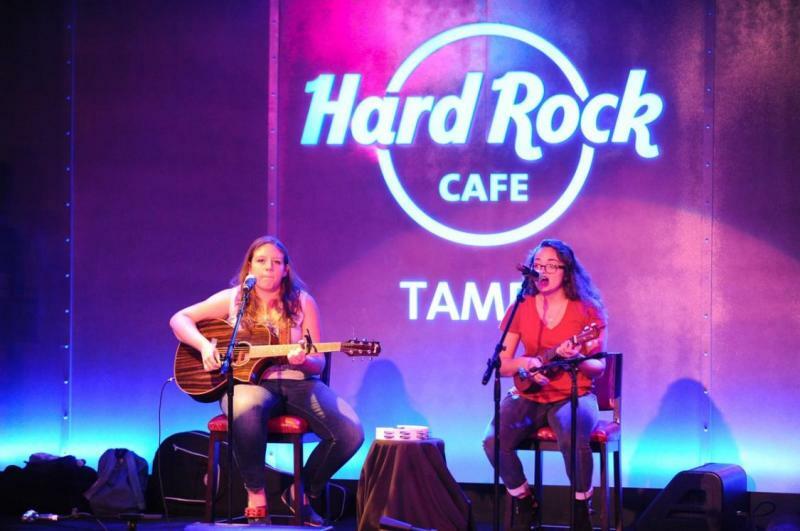 The Hard Rock Cafe has been THE place to be in June to see some of the best live acoustic music in Tampa Bay! The duo Margaret & Brittany kicked off the night with a set of toe-tapping tunes. Margaret and Brittany met while attending the University of Florida. Margaret was accepted into a “Battle of the Bands” contest but didn’t have a band. She soon found her friend Brittany and they practiced together for a week before performing. They have been playing together ever since. Brittany has been playing piano since she was 7, picked up the guitar during a class in high school and eventualy taught herself to play. Margaret has always loved music and played piano in middle school, ukulele in high school and guitar in college. She also plays a mean kazoo! 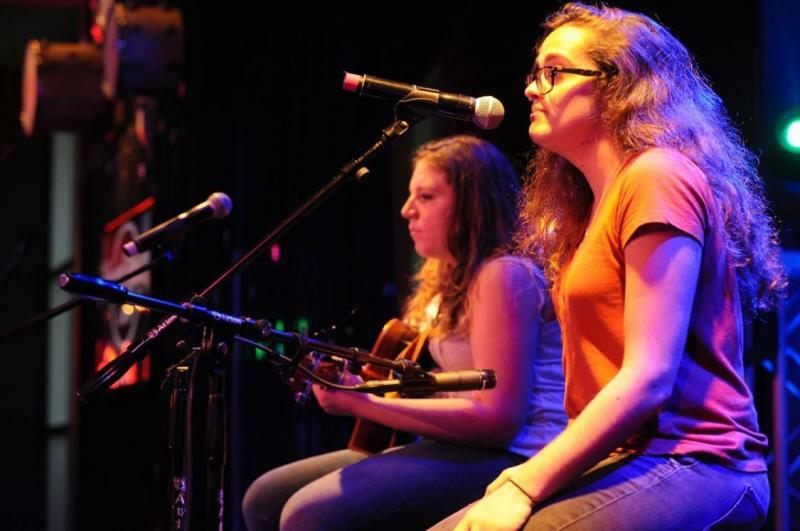 Margaret and Brittany played one orignal song written by Margaret entitled “Speed Up” about having the “push” to put yourself out there. Other songs included “Son of a Preacher Man” by Dusty Springfield, “Come Together” by the Beatles and “Gold on the Ceiling” by The Black Keys. Brittany recently graduated and is living in the Tampa Bay area, saving up money, hoping to continue her dream of working in the music industry. 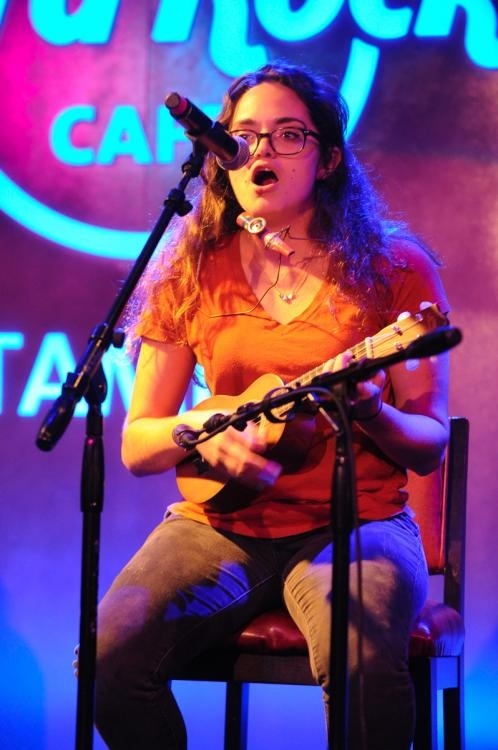 Margaret plans to finish her senior year at UF playing open mic shows, reunion shows with Brittany and “anything” to continue her dream of performing. We wish these talented ladies lots of luck attaining their musical dreams! Next up was Barefoot Billy. Billy hails from the Bible Belt of Kentucky where he grew up singing in church. When he was 15, he formed an A capella quartet that toured throughout the Southeast performing Doo Wop, Barbershop, and Gospel. Because his church didn’t believe in instrumental music, he didn’t start guitar until he taught himself to play in college. Warmer weather and brighter opportunities brought him to the Sunshine State in 2006. 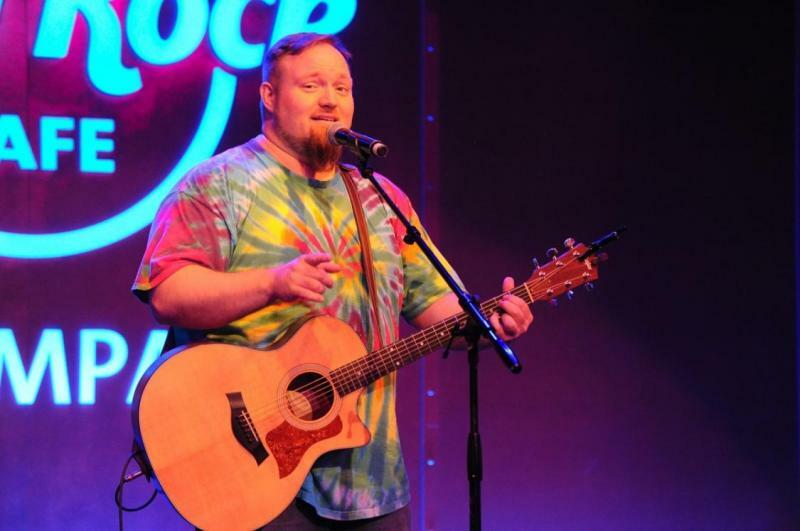 Billy is a father to a newborn and works full time in healthcare but “has to have” a musical outlet in his life. He plays solo shows in the Tampa Bay area, has a second band Muddy Toes and also plays for his patients when he can. He got the name “Barefoot Billy” because he always plays barefoot. 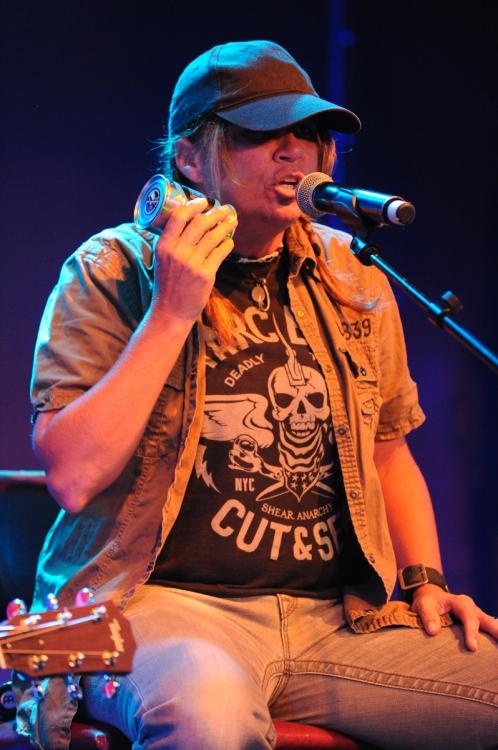 Billy has country in his roots but played a diverse set of covers including “Folsom Prison Blues” by Johnny Cash, “Fire and Rain” by James Taylor, “Desperado” by The Eagles, “Wonderwall” by Oasis and “Treetop Flyer” by Stephen Stills. 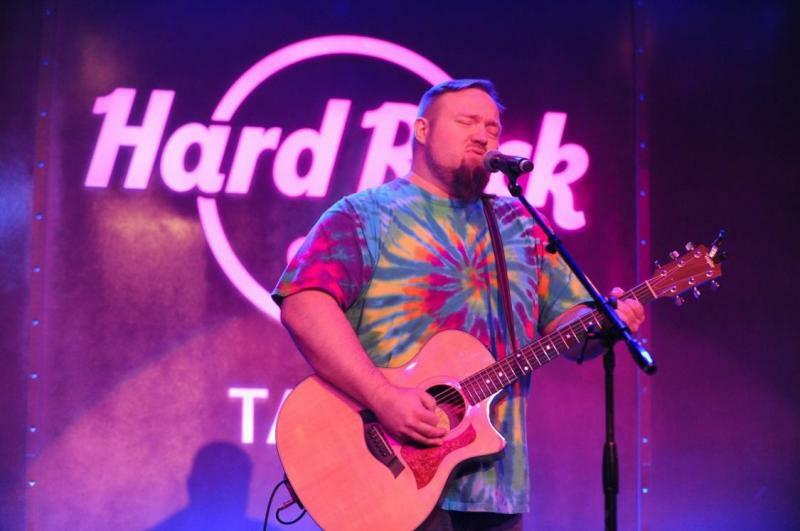 Catch Barefoot Billy next at the Grind House Bar & Grill in Clearwater on July 17th or keep up with him here. Zack Biss and Rebekah Reid took the stage next for a foot stomping set of “pop country”. 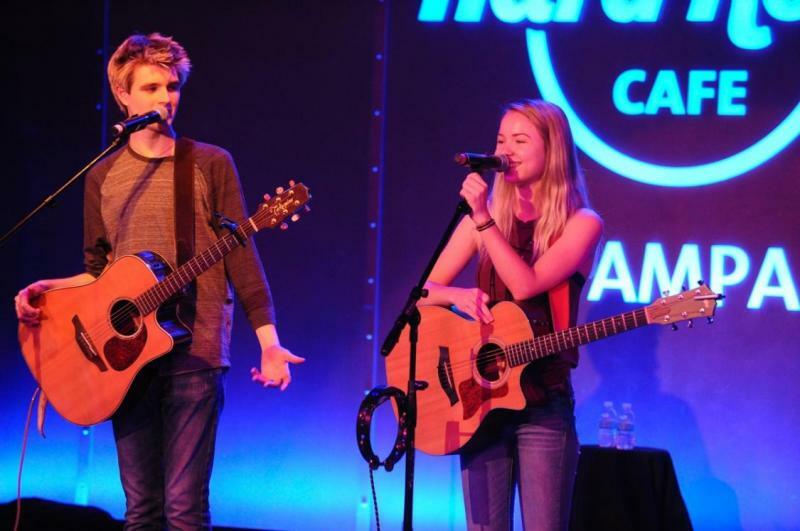 Zack and Rebekah recently graduated from high school but have already achieved the success of many veteran musicians. Zack picked up his first guitar when he was 12 and his life has revolved around music ever since. Zack’s first band, Out by Nine, played in local bars but had to be out of the bar by 9 because of their age. 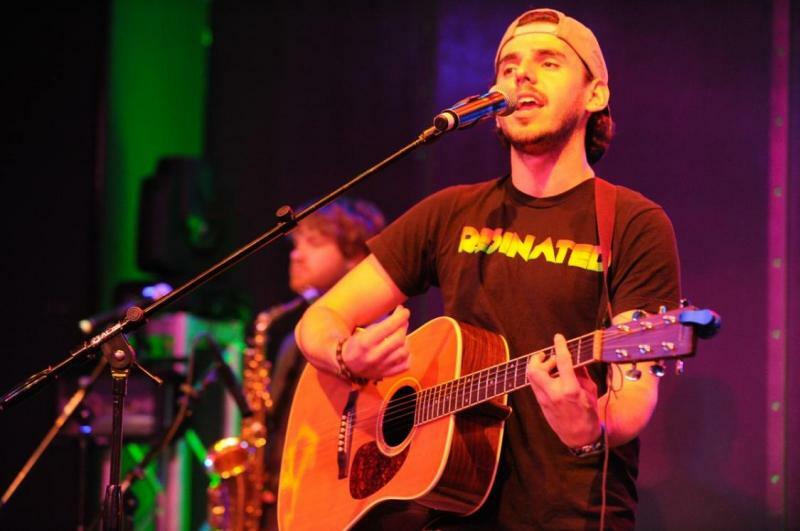 Zack recorded his first CD in his bedroom and recently released a new CD, Brand New. 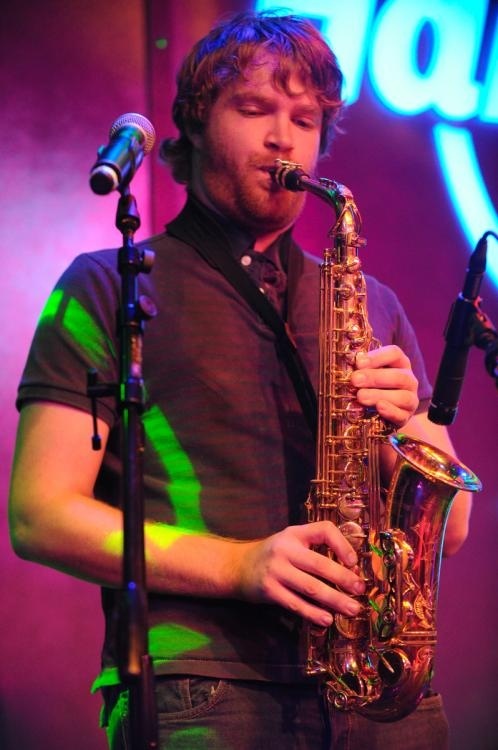 Zack played closed to 200 shows in 2014! 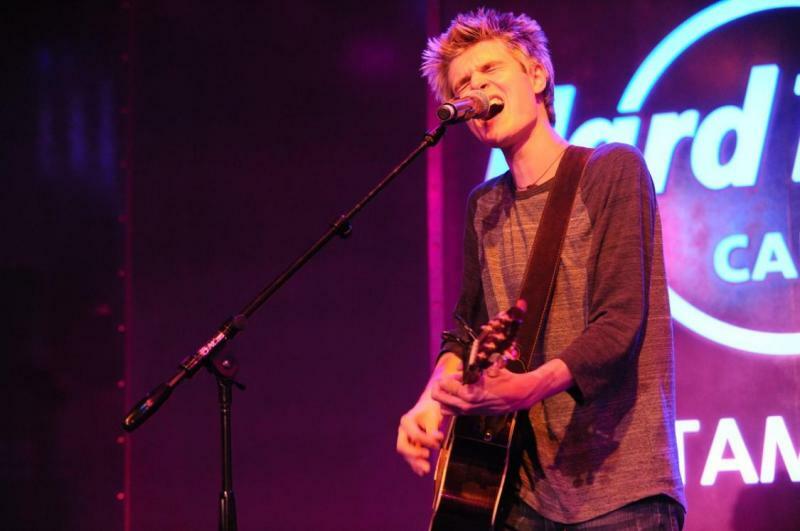 He has opened for The Goo Goo Dolls and performed at the famed Tootsies Orchid Lounge, Rippy’s and the Bluebird cafe in Nashville. Incredible for such a young age! Rebekah was always determined to be a singer. She sang in her church and school choirs, started writing songs, played piano and taught herself to play the guitar when she was 13. She used to play at the neighborhood street corner or in the back of her dad’s truck for the entire world to see! 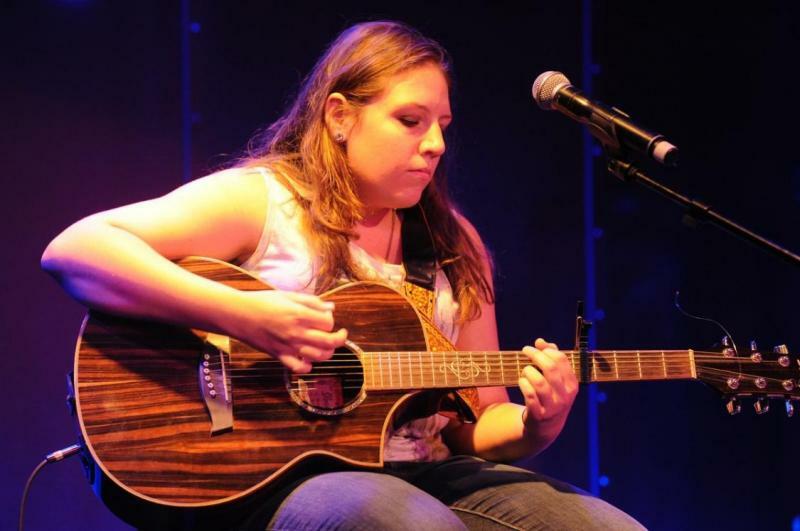 Rebekah likes to perform a wide variety of music but is more known for singing her original songs and putting her own twist on pop, country, and rock music. She spends most of her free time playing music, writing new songs and learning new instruments including piano, banjo, electric guitar and ukele. Sweet as sugar Rebekah released her first CD, Chapters, in March 2015. Rebekah met Zack a year ago while they were both performing at the Green Iguana, before 9, in Tampa. 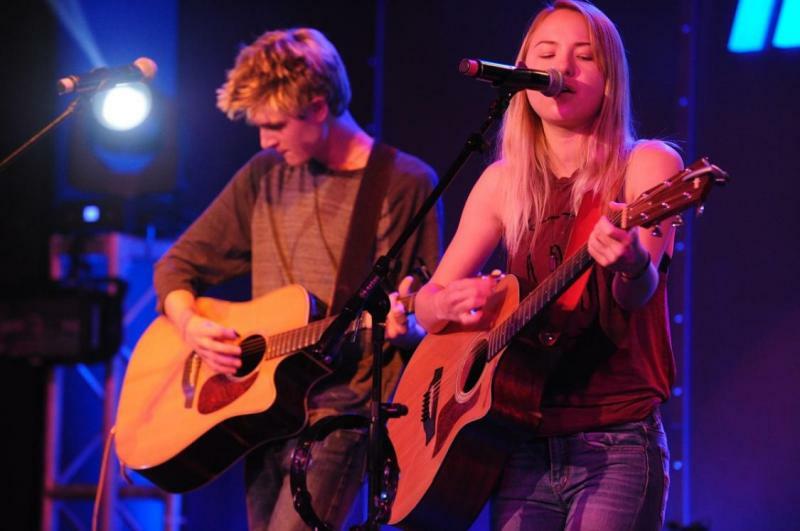 They have become a highly sought after duo and have been focused on creating their unique “pop country” sound. Zack and Rebekah performed a set of covers with their own “pop country” twist including “Chicken Fried” by the Zac Brown Band, “Mama’s Broken Heart” by Miranda Lambert and “Cruise” by Florida Georgia Line. Zack and Rebekah are both headed to Belmont University in Nashville this Fall where they hope to continue their music as well as academic careers. Catch them at the Holy Hog on July 3rd or tune into Zack or Rebekah here. They may be called NoNeed but after seeing them perform last night, I have a serious need for NoNeed! NoNeed is a reggae-rock fusion band consisting of Sebastian Tenorio on vocals/guitar, Kevin Blume on cajon/vocals, Cody Moore on sax/vocals and Bryan Figler on bass. They met while attending USF and have been playing together for the past three years. Although the band is “rooted” is reggae, band members come from a variety of musical backgrounds and fuse together various genres including pop, punk, jazz, metal and funk to create a truly unique “volcanic” sound. As they say, “they wear their dreads on the inside”. NoNeed played a set of original and cover songs including “The Beginning” a song about that feeling you get when you’re starting something new in life, “To Be” about looking at the positive instead of the negative things in life and “Kush and Busch” about really good green stuff and not so great beer. Covers included “De Stress” and “Show Me” by Bruno Mars. NoNeed lives for music-making and has released two CD’s, Got No Fear (EP) and All That We Are (LP). They plan to release another EP by the end of the year. They are heading out on their first tour, From Jobless to Jah Bless Summer Tour, in July playing a total of 20 dates in Florida, Georgia, South Carolina and North Carolina. They’re kicking off their tour at The Amsterdam in St. Petersburg on July 9th and at the Dunedin Brewery on July 10th. Experience a bit of their funky reggae dance party here. Closing out the night was Seven Years Past. Composed of Lisa Larkin on vocals, Stephan M Rosser on bass, Brett Jones on guitar and Mark Medeiros on guitar, they have been playing together for the past 6 years. Seven Years Past has released two albums including their debut album 24 Days in May in 2010 andSwitches in 2013. Led by the soulful lyrics and powerful voice of Lisa Larkin, Seven Years Past played a set of all original songs inspired by the stories of those surrounding her, “If you didn’t have friends, you wouldn’t have stories to tell”. Songs included “Chemical Woman” about a friends’ sister who lost her children due to a drug addiction but has been clean for the past 3 years, “Don’t Blame Me” about catching a cheater and “Drop Dead Gorgeous” about seeing the beauty in someone. Tune in to Seven Years Past here. 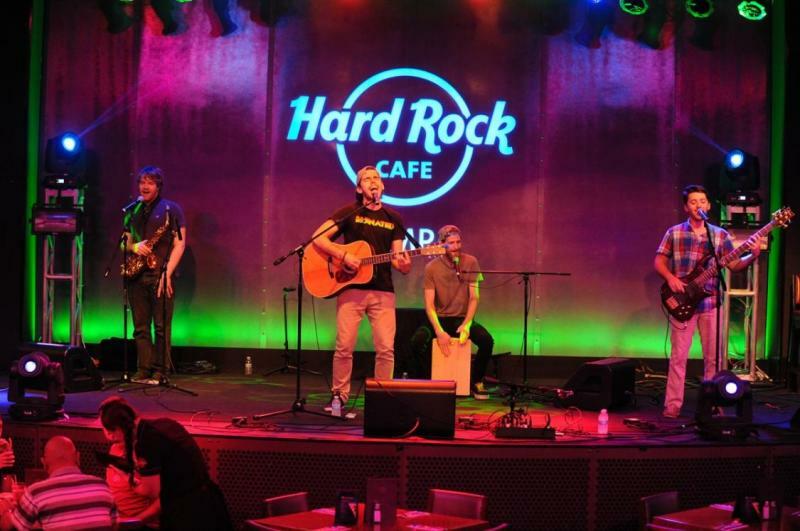 The final weekend of the Tampa Bay Acoustic Music Festival at the Seminole Hard Rock Hotel & Casino Tampa continues Friday, Saturday and Sunday nights from 5pm through midnight. 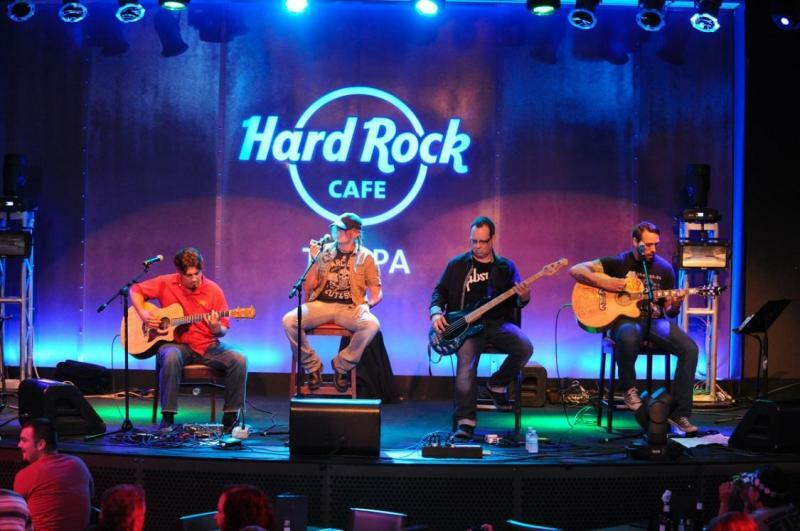 Check the schedule here and head to the Hard Rock Cafe to hear some of the Tampa Bay area’s best live acoustic music!